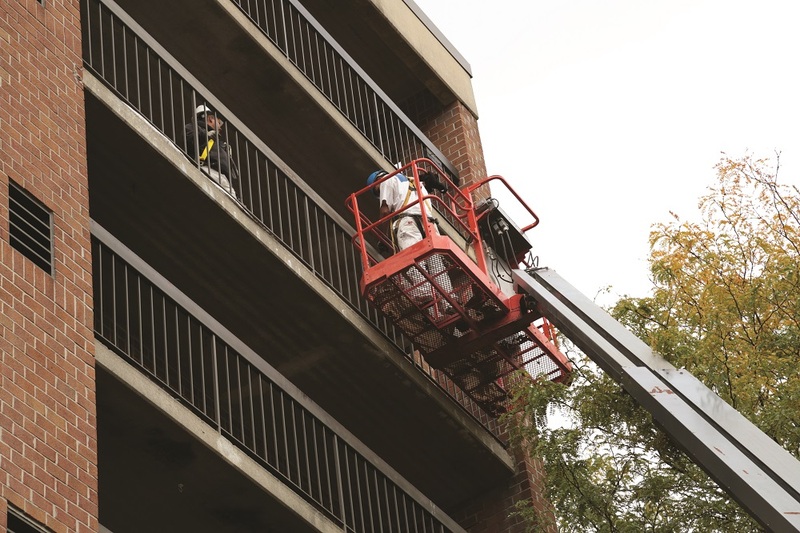 With its team of experienced estimators, project managers, field superintendents and administrative staff, APC Services of New England has been providing industry-leading painting and coating services, as well as related duties, throughout New England since 1931. After working with the previous owner for 26 years and purchasing the business in 2012, Patrick Ronan is the current president. His father, Frank Ronan, now acts as sales manager for the company, which maintains 14 full-time employees. Headquartered in Melrose, Massachusetts, APC has built lasting relationships with clients and strategic partners over the years. The primary target market for APC is the education and institution sector, working in colleges and universities. When the school year ends and campuses empty, many institutions seize the opportunities to refurbish classrooms and dormitories. During this time, which usually begins mid-May, APC is working on approximately 10 different institutions, including Massachusetts Institute of Technology (MIT), Harvard University and Dartmouth College. The next largest portion of APC’s business comes from manufacturing facilities, which is where the company performs a majority of its coating work. “Approximately half of our work goes through general contractors and the other half comes directly to us from the customer,” Frank explains. APC is used to working in challenging spaces and high places. 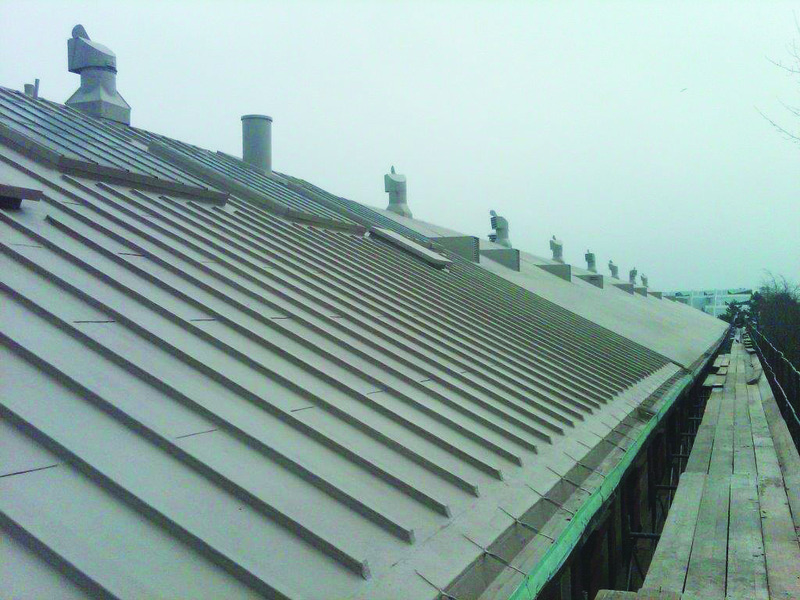 The company has worked on several Catholic churches in and around Boston. Utilizing its partnership with skilled artists, APC team members and partners often work on staging up to 100 feet high, refurbishing murals of saints and angels. APC is looking at potential growth opportunities as the company moves forward. Other than increasing revenue and work force, APC will consider other markets in which to expand its services. While it increases its market share, APC Services of New England will maintain its integrity and focus on safety to ensure complete customer satisfaction.